Snag the snacks, fill up the tank and pack your bags, it’s time for a fall road trip. 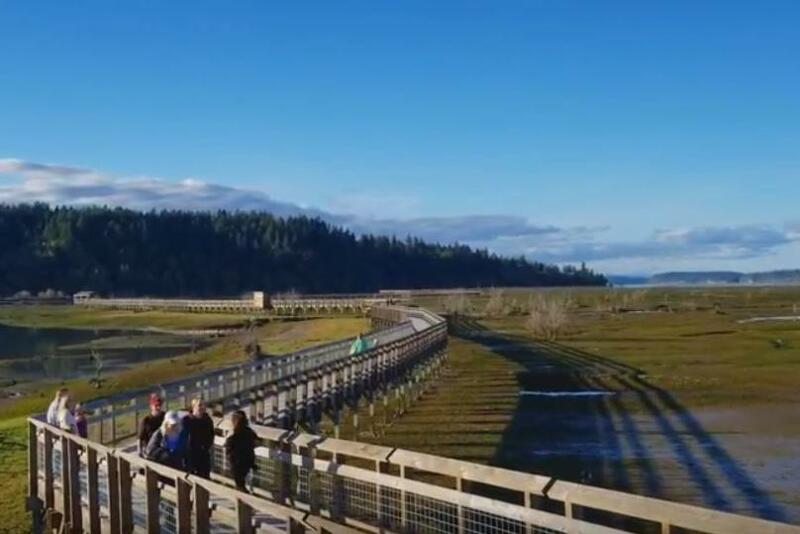 The vibrant colors are out, there are pumpkin patches aplenty and the open road of Olympia and beyond beckons with adventures for foodies, families and weekend warriors. Newlywed travel bloggers Suzi and Martin of Gemini Connect recently visited to explore the state capital in all its seasonal glory. Travel from your desk courtesy of their scenic Instagram images at @GeminiConnect, watch their travel video and then follow in their footsteps with the itinerary below. Hit the road and travel to town. Stretch the legs and settle into your trip with a jaunt around Tumwater Falls. The easy half mile trail meanders the waterfall and Deschutes River, get there soon to see the salmon running at the waterfall. Check into hotel, settle and get ready for the weekend. With more than 2,700 hotel rooms throughout Thurston County there are several options ranging from downtown digs to traveler-friendly rooms. Explore downtown Olympia, 222 Market, the waterfront and downtown shops. Dinner options abound with ideas listed here, the Iron Rabbit is a tasty, seasonally inspired spot. Visit Olympia Farmers Market, which is open Thursday to Sunday through October and Saturdays & Sundays in November and December. Make sure to pack a cooler to take home tasty souvenirs or a picnic on the road. Rutledge Corn Maze featuring The Bountiful Byway, through Oct. 31, 2017. Family friendly activities include a pumpkin patch, cow train, story times and more. This year’s corn maze features the Bountiful Byway logo. Apple Festival at Lattin’s Family Farm, through Oct. 28, 2017. Find the famous apple fritters, along with pumpkins and bluegrass music at this family farm. Fall Festival at Schilter Family Farm, through Oct. 31, 2017. Finding the perfect pumpkin is just the beginning of the fall fun. Fall Fun at Hunter Family Farm, Sept. 30 – Oct. 31, 2017. Visit the farm for all the trimmings, including every fall photo opportunity imaginable. Drive the Bountiful Byway and plan lots of time for tasting and exploring. 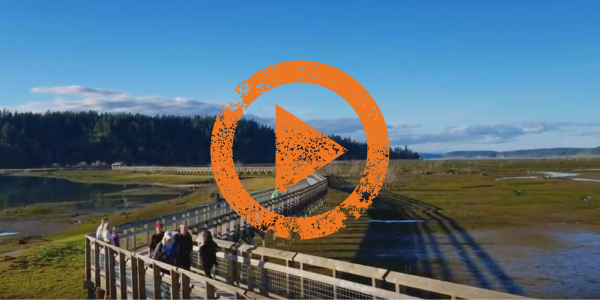 Don’t miss Mima Mounds or the Billy Frank Jr. Nisqually National Wildlife Refuge with tasting to follow. Nearby the refuge, you’ll find Medicine Creek Winery, Top Rung Brewing and Salish Sea Organic Liqueurs. Inspired? Chart your own course using the Bountiful Byway as your guide, or find more information on where to drink, dine and stay at experienceolympia.com. Share your adventures by tagging posts #DecidedlyDifferent or share with us via Facebook, Twitter (@Experience_Oly) and Instagram (@ExperienceOly).